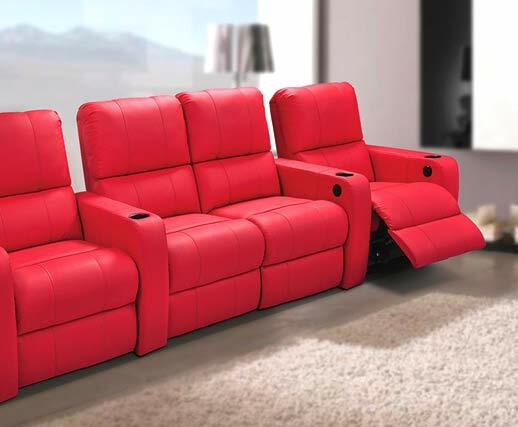 Now enjoy a blockbuster movie experience at home. 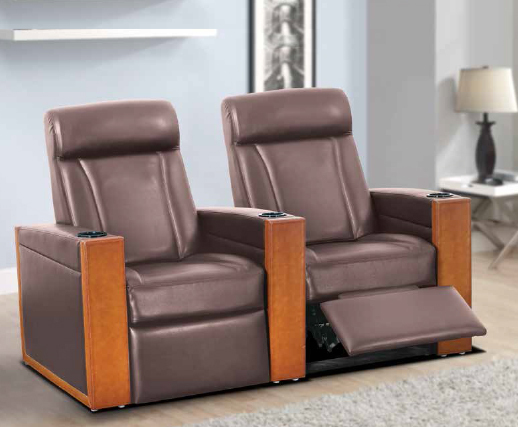 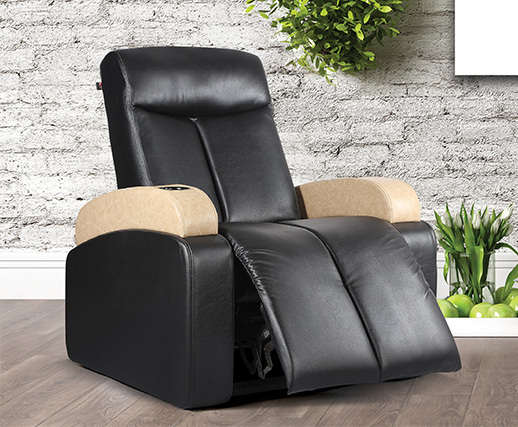 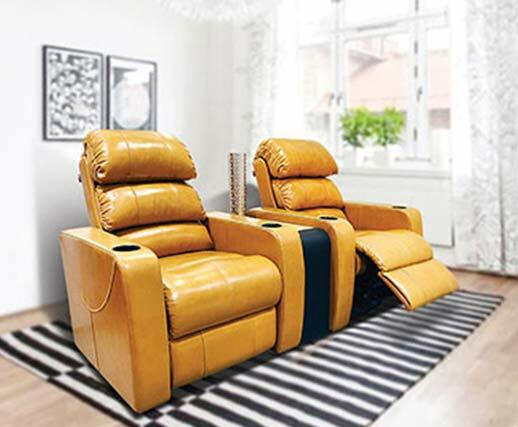 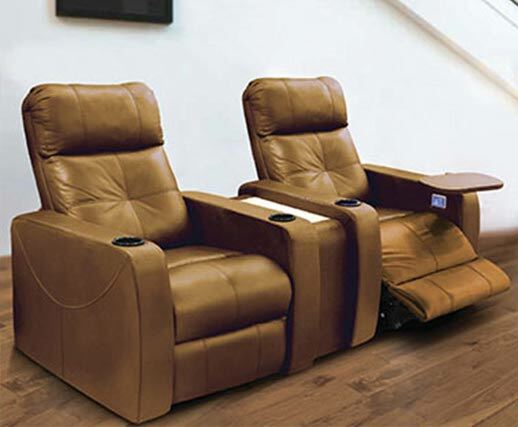 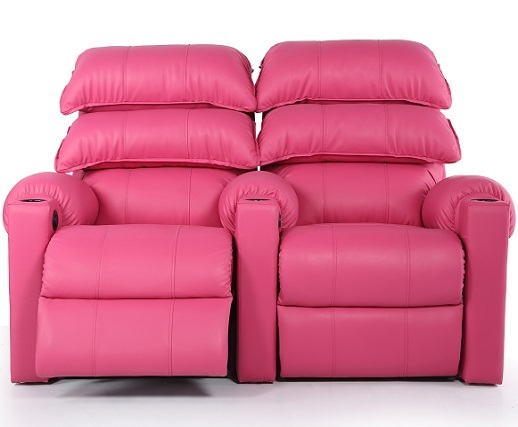 Our home theatre recliners offer the latest in style and comfort. 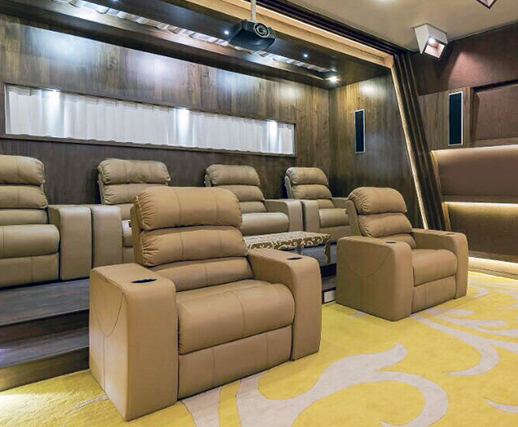 Their rhythmic curves and clever contours imitate commercial movie theatre seats, yet offer much more resourcefulness in the way of personalization. 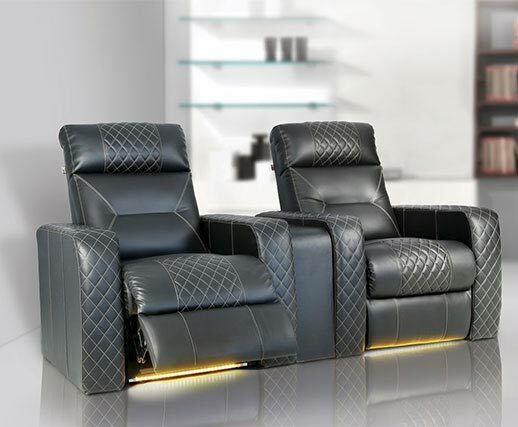 Offered in either confident colors or stylish leather, these seats provide stretchable positioning for different postures. 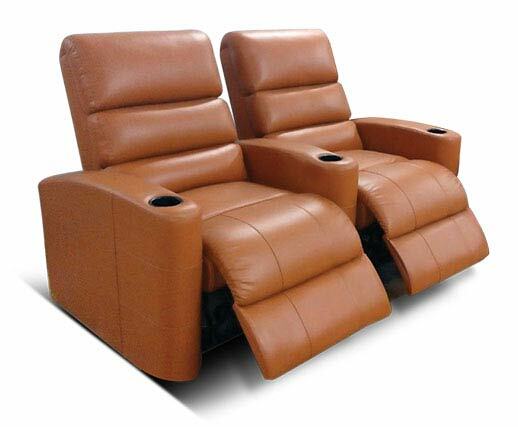 The recliners are offered with optional hassock which not only come with comfortable seating, but also offer cleverly hidden storage space, perfect for keeping stuff that you would want to access while watching the movie without having a hard time finding them. 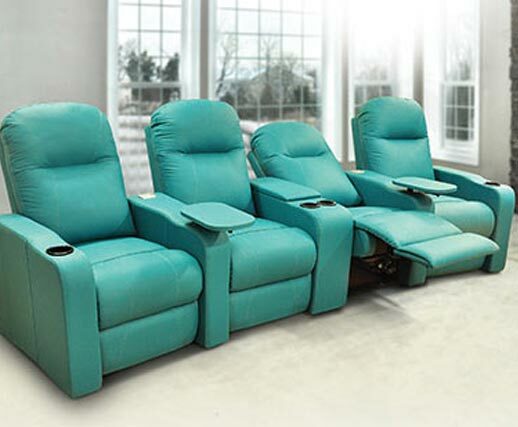 The seats can be attached as well, ensuring that a loved one is just one arm rest away.